To all the real Dads not just fathers… (Anyone can be a father but it takes a special God selected individual to have the honor of being a Daddy) So to all the men out there who’ve sacrificed and given up their selves for the greater good of theirs or someone else’s children…We’d like to wish you a Happy Father's Day and thank you for being there for your children. Here’s to all you Dads... the muscle, the heart, the leader, the bread winner, the teacher, the role model, the idol, the superhero…You guys are Rockstars! Always remember the most important part about being a Dad involves the transition from being someone who was once selfish, to one who is selfless. Being a Dad requires that you be comfortable with being a hero yet be respectful of the power that being a hero entails. It also involves being able to walk miles in pint sized shoes. Sure at times they might give us those distinguished grey hairs far before we want them. But we all know the real Dads out there would take a head full of silver and grey over missing out on that irreplaceable unconditional love any day. 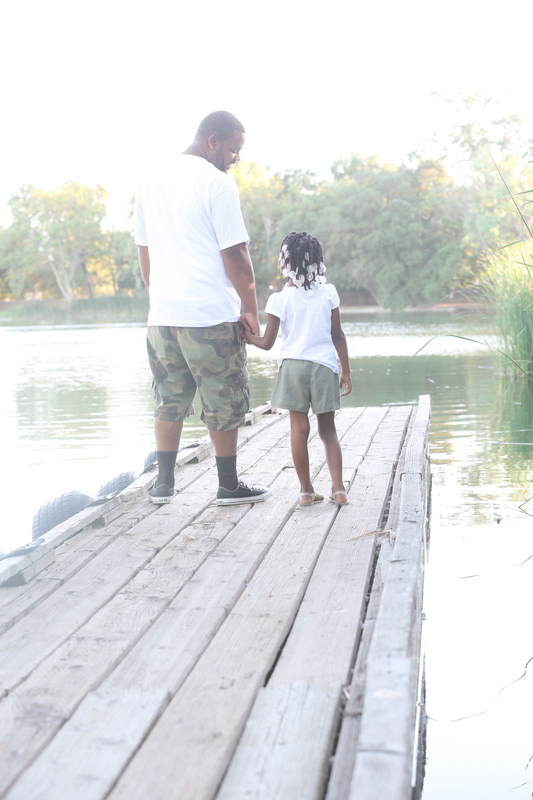 Check out some of Curtiss and his baby girl’s sweet Father’s Day photos below.